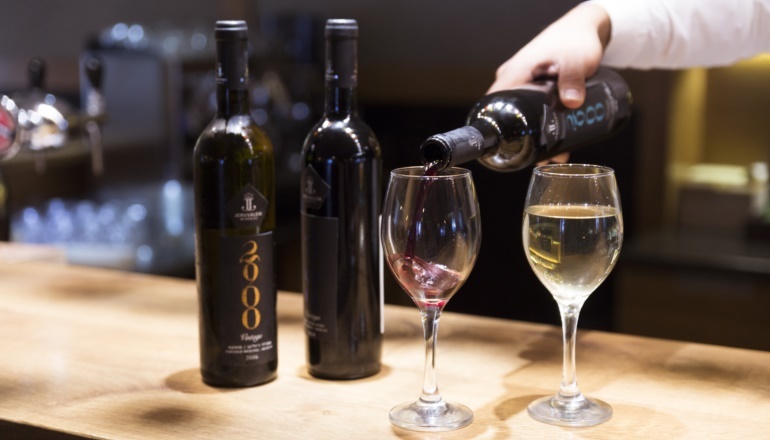 The Judean Mountains are home to a number of high quality boutique wineries that are responsible for manufacturing some of Israel’s best wines. The special climate, fresh air and mountainous terrain are perfect for growing a variety of wine grapes. The wineries of the area are keeping this long-standing tradition alive. 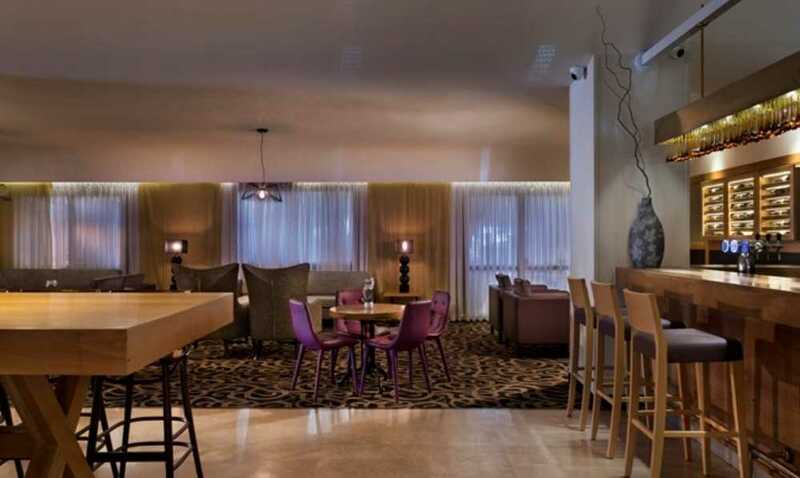 The Prima hotel chain took their inspiration from the Jerusalem-Judean wine country and opened Prima Park hotel. For a wine lover looking to widen their knowledge of Israeli wine, this is the perfect place for a vacation. The hotel lobby, opening at the start of lunchtime is designed in the style of a wine cellar and offers a wide selection of wines from the hotel collection, not to mention you can order from the hotel menu before checking into the comfortable rooms. In the hotel you will find the official Jerusalem Wineries bar which is our recommendation for the perfect romantic evening. The wines produced in the winery are sold world-wide and are available to taste and buy at the bar. For those who prefer a red wine, we recommend the 2014 Cabernet-Merlot blend from the vintage classic collection. For something more unique try the Gershtain rose, produced from Emerald Riesling and French Colombard grapes with sweet hints of apricot. With dessert, you might try the Puerta, a fortified wine with a fruity aroma of figs and dates. The bar also provides a complete dinner menu including salads, pasta and sandwiches. Conveniently, the hotel is close both to the entrance of the city and to the city center. Take the light rail down to the culinary heart of Jerusalem, the Mahane Yehuda market famous for its concept restaurant and bars, or continue to the Old City for a historical tour or a shopping trip in the luxurious Mamila mall. For the more adventurous types, be sure to pick up the winery map at the front desk and visit the many wineries in and around Jerusalem. The trip will take you to some of the most beautiful scenery in the area and you are sure to come back with a few new bottles to share with your friends. In the Hulda Kibbutz, a thirty minute drive from Jerusalem, you can find the Barkan Vineyards. Barkan is one of the most respected wineries in Israel and specialize in producing a wide variety of wines. The visitor center provides tastings and tours with the help of the Barkan wine experts. You can taste and buy from their ‘Supérieur Series’ Cabernet and Petit Verdot or the famous ‘Special Reserve’ series which has more than twelve different types of excellent wines. A short drive from there is the Tzuba Estate Winery. Their visitor center overlooks a breathtaking view of the vineyard and the Judean Mountains. The center offers weekly guided tours of the vineyards with the winery’s experts and an opportunity to taste some of their best wines. Be sure to pick up a bottle of their amazing Sauvignon-Merlot-Frank bland. Call ahead for tours. The Tzora Vineyards are located in the Tzora kibbutz overlooking the Sorek river valley. Tzora provides wine tastings and guided tours of the winery including detailed explanations on the area’s unique terroir and its effects on the wine grapes grown here. The winery’s catalogue includes the excellent Misty Hills dry red which is blended from Cabernet and Syrah grapes. For a more relaxed activity, grab a table at the Vineyard Garden, enjoy local cheese, and freshly baked breads.